While driving near Lake Roosevelt about an hour north of Phoenix, I happened to drive through the small village of Pumpkin Center, where I noticed they were having an estate auction. What initially caught my eye among the items to be sold were a number of old skulls and antlers. 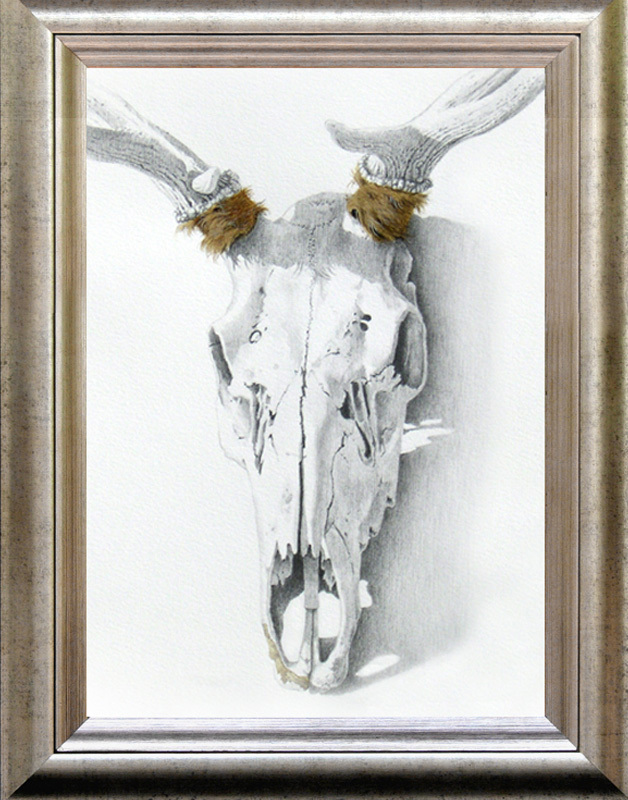 I was attracted to this particular Elk Skull because the taxidermist, or who ever had mounted the skull, had chosen to leave some of the hide at the base of each antler allowing for additional textures and colors not normally found with this type of mount. 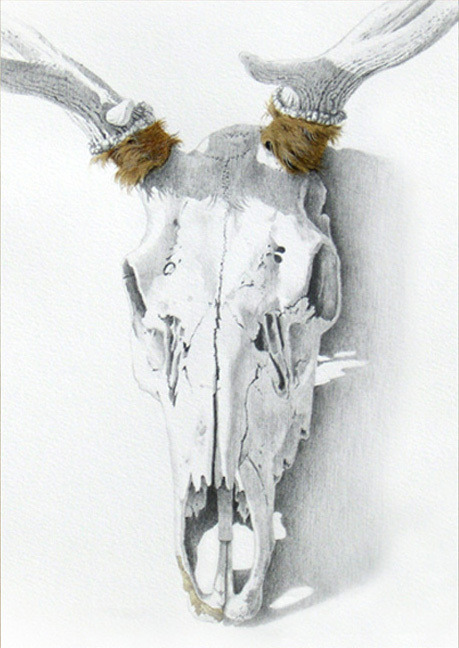 I also liked the fact that it was propped against a wall in direct sunlight, offering dramatic lighting and the shadows that vividly enhanced the shapes, surfaces and distinct contrast in texture between the bright white skull and the dusty old pieces of hide…..